I’m not sure that I can write about Jon Stewart’s announcement that he will be retiring at the end of the year just yet. I’m still trying to mentally process the announcement. I didn’t ever think it would happen. I certainly don’t want it to happen. So I’m just taking the same approach to every early retirement announcement – I’m going to deny it until I have to. Okay? Okay. I’m glad we are on the same page. But there is one thing that I love about his chair now becoming open: We get to fill it with anyone we like. We get to convince ourselves of just about any comedy free agent taking Stewart’s seat. Last year, before Last Week Tonight this would not have been a conversation. John Oliver was the man in waiting for both Stephen Colbert and Jon Stewart. But neither looked like they were primed to leave their positions, so Oliver jumped to HBO. This was the smart move for him. Comedy Central tapped longtime Daily Show correspondent Larry Wilmore to replace Stephen Colbert when Colbert was tapped to replace David Letterman. Did you follow that? Me either. So now replacement hosts can be pitched from far and wide. Tina Fey? Amy Poehler? Jason Jones and Samantha Bee? Jessica Williams? Chris Hardwick? Aasif Mandvi? All are credible options, but incorrect. 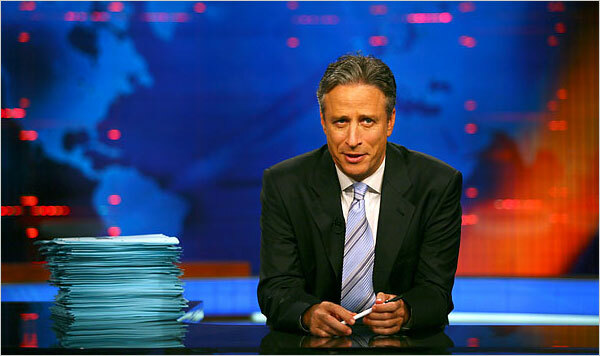 There is only one option for Jon Stewart’s replacement. That’s right, I’d like to formally announce my candidacy for the host of The Daily Show with Connor Lenahan. That’s right, you can go ahead and plug that into your Tivo and get a season pass. It will be the best show on television. I promise you that. My mom says I’m really cool. Come on guys, give me a chance. I’m not asking for a lot. I’m just asking to become the host of one of the most respected programs on television. Wait, but what if they think of someone else? What if my contract demands – 15 Years, $45 Billion dollars, unlimited guacamole – are too much for Comedy Central? I need a backup plan. That’s right, I’d like to formally announce my candidacy for the host of NBC Nightly News with Connor Lenahan. There we go. That’s set. See you on your TV this fall, America. Just remember, my mom says I’m really cool. You’ll bow before me love me as a host. I promise it.